"To provide world-class support to committed entrepreneurs in changing lives with USANA, the pre-eminent network marketing company which offers the highest-rated nutritional supplements in the world." USANA has become much more than a business for Pete and Dora Zdanis. USANA has become their passion. 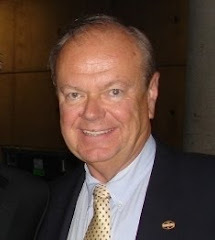 They fully support Dr. Myron Wentz’s vision and USANA’s mission, and take pride in the fact that, for over 15 years, they have played a role in helping thousands of people reach their personal and financial goals and dreams with USANA, and continue to do so every day of every week of every year. Pete Zdanis ( www.petezdanis.com ) was born in Michigan City, Indiana and raised in New Buffalo, Michigan, in the very southwest corner of the Great Lake State. In high school, he was the president of the National Honor Society and was the Salutatorian of his 1967 graduating class. He worked his way through college by pumping gas on the midnight shift at a Mobil Oil service station in East Lansing, Michigan. He graduated from college in 1971 with High Honors, and a Bachelor of Science Degree in Mathematics, Physics and Chemistry from Michigan State University. Pete had planned to teach math and science in high school. However, managers at Mobil Oil recognized Pete’s determination and work ethic as he worked long hours to pay for his education, and offered him an entry level position with Mobil. After training with Mobil for a year in Chicago, Pete was assigned a territory as a Marketing Representative in Grand Rapids, Michigan. He was then transferred and promoted frequently to assignments in Detroit; Philadelphia; Toledo; Indianapolis; back to Philadelphia again; New York City; Los Angeles; Kansas City; Chicago; Washington, DC; and finally back to Philadelphia for a third time in 1991. Pete was transferred around the country by Mobil a dozen times in twenty years. Each new position brought new and increased responsibilities. After beginning by managing a small sales territory, he eventually became responsible for such critical and diverse things as developing Mobil’s U.S. strategic planning, managing the company’s U.S. computer systems and data management operations, and directing Mobil’s worldwide credit operations. It was during his third assignment in Philadelphia that he met fellow Mobil employee Dora Ferrer, and they married in November, 1993. While Pete found his Mobil career to be rewarding, he was also becoming “burned out” by the demands of long hours, frequent travel, and having to produce increased results with fewer employees and resources lost due to cost-cutting. The company was “reorganizing and downsizing” almost every year, and each time Pete had to terminate many employees, some who had become friends of his over the years. Pete was introduced to network marketing in 1989. He was intrigued by the concepts of leveraging his time and building residual income by helping other people do the same. He became involved with several different network marketing companies on a part time basis over the next several years. His goal was to supplement his and Dora’s income in the short term, with a long term goal of being able to replace their Mobil income and get out of the “corporate rat race”. While Dora was not too sure about the validity of network marketing, she supported Pete’s efforts. Still working 60 and 70 hour weeks with Mobil, he worked his network marketing business on evenings and weekends and any other time he could find a spare moment. His results, however, were very disappointing. There always seemed to be one problem or another with the network marketing companies that Pete would choose to build a business with. There were either management problems, product problems, or the compensation plan just did not allow people to earn a fair return on their efforts. After disappointing experiences with five different network marketing companies, Pete finally decided in September, 1994 that he could never succeed in the business, and decided to stop wasting his time and money in network marketing. He said that he felt like “roadkill on the network marketing highway”. A few weeks later, someone Pete had met during his network marketing debacles asked him to take a look at USANA. Pete politely declined. Not only was he burned out in his corporate career, he was completely disillusioned by network marketing and wanted no part of it. He was frustrated with his current situation and prospects for the future, and just wanted to be left alone. However, Pete’s friend was “pleasantly persistent”, and Pete finally agreed, as a favor to his friend, to take a look at USANA. Pete had absolutely no intention of getting involved in network marketing again, and figured that if he told his friend that he had read the material about USANA that his friend would then leave him alone and never ask him about USANA again. However, as Pete read about USANA on that day in October, 1994, he became increasingly interested in what the then two year old company had to offer. Pete saw USANA’s proven products which offered a true value to the consumer, whether or not they chose to participate in the compensation plan. He saw the power of USANA’s binary compensation plan which allowed new people to start earning weekly commissions quickly, while also allowing associates to build their income to whatever level they desired over time. He also saw a well-managed company led by visionary scientist Dr. Myron Wentz, and supported by business leaders such as Dr. Denis Waitley, Robert Allen and many others. Pete realized that he had finally found a network marketing company where all the “key ingredients” of product, compensation and management had come together in one place at one time. He figured that if he would ever realize his dream of building a full-time career in network marketing that USANA would be his vehicle to reach that dream. So, on October 28, 1994, with Dora’s somewhat reluctant blessing, Pete began their USANA career like everyone else, with three Business Centers and no one in their downline. Over the next several months, Pete & Dora’s USANA business began to grow, slowly but surely. Their goal was to sponsor two or three associates every month and help them get started in building their USANA businesses. Their plan was working, and their USANA business and commission checks were growing. And, they were moving up the ranks, becoming USANA Silver Directors on March 24th, 1995. Pete’s corporate career was going fairly well, too. Although the long hours and increasing workloads at Mobil continued, Pete continued to be on the list of managers who had jobs during the frequent waves of downsizing and cutbacks. In fact, Pete celebrated his 25th anniversary with Mobil the same month that he became a USANA Silver Director. Mobil threw a little anniversary party on Pete’s behalf and even gave him a gold (plated) watch! Then things began to change quickly for Pete and Dora. On June 5th, 1995, Pete’s boss flew in from Mobil’s headquarters. At 9:00am that day, he thanked Pete for 25 years of service to Mobil, but regretted to tell him that Mobil was reorganizing yet again, and that this time there was no position available for Pete. He was “downsized” (fired). His boss also told Pete that he had ten minutes to remove his personal effects from his office, and that he could come back after business hours with a security guard if he realized that he had forgotten anything. Immediately after the devastation and humiliation of losing his job after 25 years of service to the same company, Pete met Dora at a local restaurant. They let the events of the day soak in and talked about the future. Being the positive people that they are, Pete and Dora realized that as one door closes, another one opens. It wasn’t long before they decided that this was their golden opportunity to realize their dream of making USANA their full time career, and they haven’t looked back since that day in June of 1995. Pete and Dora’s USANA business continues to grow steadily. They stuck with their plan of sponsoring two or three new associates every month and advanced to Gold Directors on September 1st, 1995, less than one year after they joined USANA. By working closely with all of their USANA team members, as they continue to do to this day, their business began to flourish as they advanced to Ruby Director, Emerald Director, Diamond Director and their current level of 1-Star Diamond Director. Pete and Dora have been USANA “Top 20” income earners for the past thirteen years, and have been members of USANA’s fast-growing “Million Dollar Club” for the past nine years. They have been a member of USANA’s “Fortune 25” every year, and have been members of USANA’s Independent Distributor Council (IDC) for six years, serving as IDC Presidents for the 2003 – 2004 term, and Vice-Presidents for the 2007-2008 term. USANA has become much more than a business for Pete and Dora. USANA has become their passion. They fully support Dr. Wentz’s vision and USANA’s mission, and take pride in the fact that they have played a role in helping thousands of people reach their personal and financial goals with USANA, and continue to do so every day. Pete and Dora look forward to many more years of success in their USANA business, and are grateful that they how have a legacy to pass on to their loved ones. While they have achieved many milestones in USANA, Pete and Dora have no intention of “retiring” any time soon, and look forward to the opportunity to share their knowledge and training with all new members of their USANA team. A wise man once defined success as a refined study of the obvious. How true. Most of what we need to know, say, and do to achieve mastery in Network Marketing could be easily taught—and understood—by a 12 year-old. Why then are we making this business so difficult? 1) Network Marketing is a business. Networking is a unique form of enterprise, and you’ve got to understand the game you’re playing. Therefore, mentally consume every page of your distributor manual the day it arrives. Listen to your training tapes again, and again, and again. Like a song on the radio, you learn the music by hearing it one more time. 2) Freedom by the numbers. Understand the numbers, and your compensation plan. Start by involving two or five people, whatever number of legs and leaders your plan dictates. By your fifth year, the commissions paid on your invested efforts could well equal a mid six-figure annual income. After that, the sky’s the limit. 3) Attend every live event. The weekly presentation is part of the process. You need to be in attendance every week—to see the presentation again. Remember the music? You need the association, and the environment to showcase your company for your prospects. True, not everyone attending every meeting earns $10,000 a month. However, everyone earning $10,000 a month attends every meeting. Now that’s a refined study of the obvious. 4) Work only one company. Leaders understand this truth, because no man or woman can serve two masters. Success in Network Marketing is 20% how to, and 80% why to... The best part is, if your reasons are strong enough, you’ll learn everything you need to know along your journey. 6) Invest in yourself first. Some people are still trying to earn a 1999 wage, using a 1979 education. It can’t be done. If you want to earn more, you’ve got to learn more. Therefore, read all the books, attend all the classes, and learn everything you possibly can. 7) Decide in writing that you’ll be here a year from now. Long-term written goals possess the power to pull you right to the top of your company. Put your dreams for your future on paper, and begin building your life of magnificence. Copyright 1999 by Michael S. Clouse. All international rights reserved. At a Glance: In a large sample of U.S. adults, new research indicates that vitamin D deficiency is associated with an increased prevalence of cardiovascular disease. Read more about this study below. Inadequate vitamin D levels are known to be associated with certain cardiovascular disease (CVD) risk factors, but until recently the association between vitamin D levels and the prevalence of CVD had not been comprehensively examined in the general U.S. population. In a recent study published in Atherosclerosis, researchers examined data from the Third National Health and Nutrition Examination Survey (NHANES), a population-based sample of more than 16,000 U.S. adults. In the total survey population, 1,308 subjects had some form of CVD. Using the standard definition of vitamin D deficiency (a serum level below 20 ng/mL), participants with CVD had a higher incidence of vitamin D deficiency (29.3%) than those without CVD (21.4%). After adjusting for age, gender, race/ethnicity, season of measurement, physical activity, body mass index, smoking status, hypertension, diabetes, elevated cholesterol, chronic kidney disease, and vitamin D use, the researchers showed that subjects deficient in vitamin D had a 20% increased risk of CVD. The results of this analysis indicate a significant relationship between vitamin D deficiency and CVD prevalence in a large, highly representative sample of the U.S. adult population. materials to make HEALTHIER TISSUE. movements. With patience and diligence, a person will soon feel more energy than before. exhilaration. The letdown is due to the slower action of the heart which produces a depressed mind state. The SYMPTOMS experienced during "retracing" are part of the HEALING PROCESS! They are NOT DEFICIENCIES. Do not treat them with stimulants or drugs. These symptoms are constructive, even though unpleasant at the moment. organs involved in the elimination, and the amount of available energy. about illness and disease, thus causing greater pain and suffering. Actually not usually. Usually it is a very good sign, a sign that your body is finally working properly and starting to eliminate built up toxins. Founded in 1992, USANA Health Sciences, Inc. (USANA) is a direct sales/network marketing company. Independent Associates market USANA’s scientifically-based nutritional, diet & energy, and personal care products. 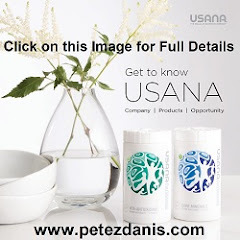 Net sales for USANA in the year 2010 were $517.6 million USD. USANA Health Sciences is publicly traded on the NASDAQ Stock Market® under the symbol "USNA." The company has been publicly traded since 1995 and has traded on the NASDAQ since July 1996. USANA Health Sciences encompasses three product categories: Nutritionals, Diet & Energy, and Personal Care. More information can be found at www.usanahealthsciences.com by clicking on the “Products” tab in the upper left corner of the page. USANA’s great-tasting drinks, meal replacements and snacks help you lose weight and maintain energy. USANA's Sensé Beautiful Science patented self-preserving skin and personal care products provide the latest breakthroughs in the science of skin and personal care to cleanse, refine, and replenish your skin and hair at the cellular level. USANA has been rated the #1 company in network marketing for ten straight years, and has received numerous awards and recognition for its scientific and business achievements over the years. In addition to 199,000 Independent Associates in fourteen countries, USANA employs over 900 people worldwide, including approximately 600 people at the corporate offices in Salt Lake City, UT. *These statements have not been evaluated by the Food and Drug Administration. These products are not intended to diagnose, treat, cure or prevent any disease. Keep out of reach of children. Consult your physician if you are pregnant, nursing, taking a prescription drug, or have a medical condition. It is known that dietary fiber may play a role in obesity prevention. The role that different individual fiber sources play in weight change is less certain. In a recent paper published in the American Journal of Clinical Nutrition, researchers investigated the association of total dietary fiber, cereal fiber, and fruit and vegetable fiber with changes in weight and waist circumference. The prospective cohort study included 89,432 European participants, aged 20–78 years, who were initially free of cancer, cardiovascular disease, and diabetes. Participants were followed for an average of 6.5 years. Adjustments were made for follow-up duration, dietary variables, and baseline anthropometric, demographic, and lifestyle factors. Total fiber was inversely associated with weight and waist circumference change during the study period. For a 10 gram/day higher total fiber intake, there was an estimated 39 g/year weight loss and waist circumference decreased by 0.08 cm/year. A 10 gram/day fiber intake from cereals results in 77 g/year weight reduction and 0.10 cm/year reduction in waist circumference. Fruit and vegetable fiber was not associated with weight change but had a similar effect on waist circumference as total and cereal fiber intake. Over a period of 6.5 years, weight gain and increases in waist circumference would be expected in typical adults. The findings of this research may support a beneficial role of higher intake of dietary fiber, especially cereal fiber, in prevention of weight and waist circumference gain. I spend a lot of time working with new people in my group helping them develop their goals and action plans for their USANA business. I always ask them to make the initial effort to put their goals and plans in writing, and then share them with me for review and suggestions. The main reason I do this is because, unless they develop their goals themselves, they will never take ownership of them and will likely not take the necessary actions to reach the goals. o Very general and vague - "I want to earn $1,000.00 per week in USANA." o Extremely detailed and mind-numbing "business plans" which would require a Harvard MBA to understand. The first example is far too general, and doesn't provide any detail on what must be done to achieve the goal. At the end of every day, there would be no way to measure if you made any progress toward your goal. The second example is far too detailed, and usually overwhelms people and causes "paralysis by analysis". It would be impractical to review an elaborate business plan daily to measure progress. Start with one or two high level goals with a specific target date, and then "work backward" to develop more specific action plans to achieve the goal(s). "Become a Gold Director in 12 months." Good. That's a specific goal with a defined time frame. Now, let's break that down into smaller, manageable actions steps that are needed to achieve the goal. For example, we know that the average Gold Director has personally sponsored 30 to 40 new Distributors. "Personally sponsor three new Distributors per month". OK. That will certainly get us to our primary goal, but - How do we sponsor three new Distributors per month? For the sake of this exercise, let simply, assume that they would sponsor one out of every ten people they make a presentation to. Note: By "presentation", I am referring to an H&F Meeting, a one-on-one H&F Presentation in person, an information pack sent by snail mail or e-mail, or a telephone presentation using the H&F Presentation, Fast Facts, etc. Therefore, we would need to make thirty presentations in one month in order to sponsor three new Distributors in a month. "Make 30 presentations per month." Not everyone we talk to is interested in learning more about becoming involved in USANA. So, we're obviously going to need to contact more than 30 people in order to schedule 30 presentations. Again, the ratio of contacts to presentations varies widely based on many variables, similar to those listed above. But, for the sake of example, let's assume that half of the people we contact would be interested in learning more about USANA, i.e., would be willing to view / attend / listen to a presentation. NOW we have something to grab on to. We now know that, in order to become a Gold Director in one year, (Primary Goal) you would need to make an average of two contacts per day (Single Daily Action Plan – SDA). o Zero Contacts - "F" - failed for the day. o One Contact - "C" - did okay, but need to do better tomorrow. o Two Contacts - "A" - achieved my goal, and am on track to reach my primary goal. o More than two Contacts - "A+" - I may reach my primary goal faster than my target date. CAUTION: Don't get all hung up about the numbers in the above examples. They are simply that - examples. As you gain in experience and knowledge, you may find that more than half of the people you contact would be willing to learn more about USANA, and that more than 10% of the presentations you make will result in a signup. In fact, I KNOW that will be the case. Perfectionists are often great procrastinators. Having stalled until the last minutes, they tear into a project with dust flying and complaints about insufficient time. Perfectionist-procrastinators are masters of the excuse that short notice kept them from doing the quality job they could have done. But that's hardly the only variety of procrastination - which is one of my own favorite hiding places when I try to blame external conditions instead of myself for some difficulty. Mine comes with a gnawing feeling of being fatigued, always behind. I try to tell myself that I'm taking it easy and gathering my energies for a big new push, but procrastination differs markedly from genuine relaxation - which is truly needed. And it saves me no time or energy. On the contrary, it drains both, leaving me with self-doubt on top of self-delusion. We're all very busy. Every day we seem to have a giant to-do list of people to see, projects to complete, e-mails to read, e-mails to write. We have calls to answer and calls to make, then more calls to people with whom we keep playing voice-mail tag. Henri Nouwen's classic book, Making All Things New, likens our lives to "overstuffed suitcases that are bursting at the seams." Feeling there is forever far too much to do, we say we're really under the gun this week. But working hard or even heroically to solve a problem is little to our credit if we created the problem in the first place. When most people refer to themselves as being under the gun, they want to believe, or do believe, that the pressures and problems are not of their own making. In most cases, however, the gun appeared after failure to attend to business in good time. Instead of being proactive early, they procrastinated until the due date became a crisis deadline. One of the best escapes from the prison of procrastination is to take even the smallest steps toward your goals. People usually procrastinate because of fear and lack of self-confidence and, ironically, become even more afraid when under the gun. There are many ways to experiment and test new ground without risking the whole ball game on one play. Experience has shown that when people go after one big goal at once, they invariably fail. If you had to swallow a twelve-ounce steak all at once, you'd choke. You have to cut the steak into small pieces, eating one bite at a time. So it is with prioritizing. Proactive goal achievement means taking every project and cutting it up into bite-sized pieces. Each small task or requirement on the way to the ultimate goal becomes a mini-goal in itself. Using this method, the goal becomes manageable. When mini-mistakes are made, they are easy to correct. And with the achievement of each mini-goal, you receive reinforcement and motivation in the form of positive feedback. As basic as this sounds, much frustration and failure is caused when people try to "bite off more than they can chew" by taking on assignments with limited resources and impossible timeline expectations. Two major fears that sire procrastination are fear of the unknown and fear of rejection or looking foolish. A third fear - of success - is often overlooked. Many people, even many executives, fear success because it carries added responsibility that can seem too heavy to bear, such as setting an example of excellence that calls for additional effort and willingness to take risks. Success, without adequate self-esteem or the belief that it is deserved, also can create feelings of guilt and the result is only temporary or fleeting high achievement. Playing it safe can seem more tempting than a need to step forward with determination to do it now and do it right. 1. Set your wake-up time a half hour earlier tomorrow and keep the clock at that setting. Use the extra time to think about the best way to spend your day. 2. Memorize and repeat this motto: "Action TNT: Today, not Tomorrow." Handle each piece of incoming mail only once. Answer your e-mail either early in the morning or after working hours. Block out specific times to initiate phone calls, personally take incoming calls, and to meet people in person. 3. When people tell you their problems, give solution-oriented feedback. Rather than taking on the problem as your own assignment, first, ask what's the next step they plan to take, or what they would like to see happen. 4. Finish what you start. Concentrate all your energy and intensity without distraction on successfully completing your current major project. 5. Be constructively helpful instead of unhelpfully critical. Single out someone or something to praise instead of participating in group griping, grudge collecting or pity parties. 6. Limit your television viewing or Internet surfing to mostly educational or otherwise enlightening programs. Watch no more than one hour of television per day or night, unless there is a special program you have been anticipating. The Internet has also become a great procrastinator's hideout for tension-relieving instead of goal-achieving activities. 7. Make a list of five necessary but unpleasant projects you've been putting off, with a completion date for each project. Immediate action on unpleasant projects reduces stress and tension. It is very difficult to be active and depressed at the same time. 8. Seek out and converse with a successful role model and mentor. Learning from others' successes and setbacks will inevitably improve production of any kind. Truly listen; really find out how your role models do it right. 9. Understand that fear, as an acronym, is False Evidence Appearing Real, and that luck could mean Laboring Under Correct Knowledge. The more information you have on any subject - especially case histories - the less likely you'll be to put off your decisions. 10. Accept problems as inevitable offshoots of change and progress. With the ever more rapid pace of change in society and business, you'll be overwhelmed unless you view change as normal and learn to look for its positive aspects - such as new opportunities and improvements - rather than bemoan the negative. There is actually no such thing as a "future" decision; there are only present decisions that will affect the future. Procrastinators wait for just the right moment to decide. If you wait for the prefect moment, you become a security-seeker who is running in place, unwittingly digging yourself deeper into your rut. If you wait for every objection to be overcome, you'll attempt nothing. 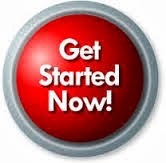 Make your personal motto: "Stop stewing and start doing!" This week, get out of your comfort zone and go from procrastinating to proactivating! New USANA Million Dollar Club Members! Congratulations New Million Dollar Club Members! USANA would like to congratulate and welcome its newest inductees into the Million Dollar Club: Emerald Director Takashi Kakino from Tokyo, Japan, Ruby Directors Tonja & Wade Hillebrant from Idaho, USA, and Ruby Director Elaine Lee from Missouri, USA. Wednesday, January 27, was unforgettable as USANA greeted three more distributorships to this illustrious club! The inductees arrived at the USANA Home Office in a stretch limousine, and they were greeted by rousing the applause of USANA employees. They then met with a handpicked USANA management team to learn ways to continue building their successful businesses before enjoying lunch at one of Salt Lake City’s premier restaurants. But that’s not all! The next day the new inductees received the royal treatment as they spent time doing activities they personally selected, including skiing in the beautiful Wasatch Mountains, getting a massage at the Grand America hotel, and shopping in Salt Lake’s boutiques. In addition to being an Emerald Director and new Million Dollar Club member, Takashi was a Top Associate Enroller and a Top 25 Income Earner in Asia Pacific. He hopes to rank advance while continuing to promote Dr. Wentz’ vision. As a busy mother who was sick and tired of catching every bug, Tonja looked to USANA’s products for help. After seeing the results for herself, she wanted to share Dr. Wentz’ vision with everyone she met. “It has been an amazing ride since,” she states. As Ruby Directors and new Million Dollar Club members, Tonja and Wade are grateful for what they’ve been able to achieve. “[Becoming a new Million Dollar Club member] represents the many people who have been helped by USANA’s products and business opportunity. In addition, we have built our dream home, traveled, and provided opportunities for our children that would not have been possible without our USANA business,” Wade states. In addition to being a Ruby Director and new Million Dollar Club member, Elaine was a Top Income Earner in 2005 and in the Fortune 100 in 2006 and 2007.